Does it happen with you too? You think of having something spicy ,but then end up making Dal(lentils curry) . That’s because we don’t have any simple ,fast and ready-to-eat recipe with us like this one. 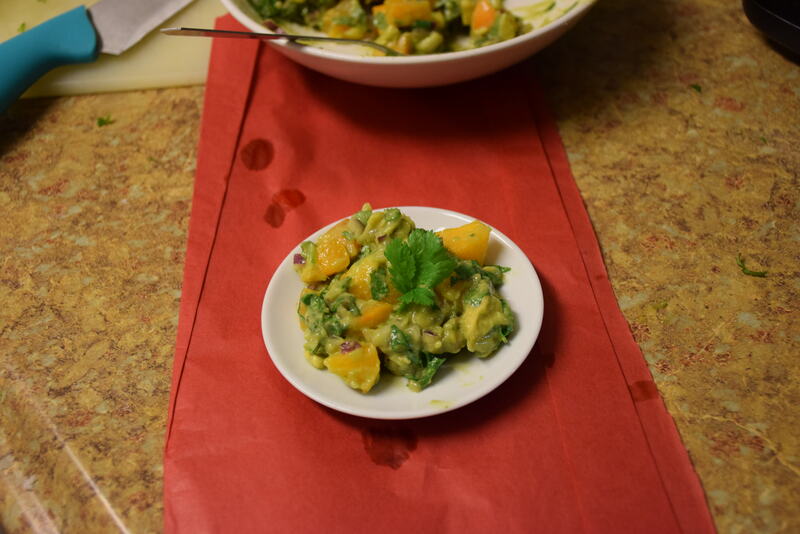 Peach-avocado Salsa was my first and now repetitive try for making a chutney type dish which could be had as it is, or with a bhelpuri ,with chips, with some regular daal , or with any rice, bread ,to add in some chaat etc. 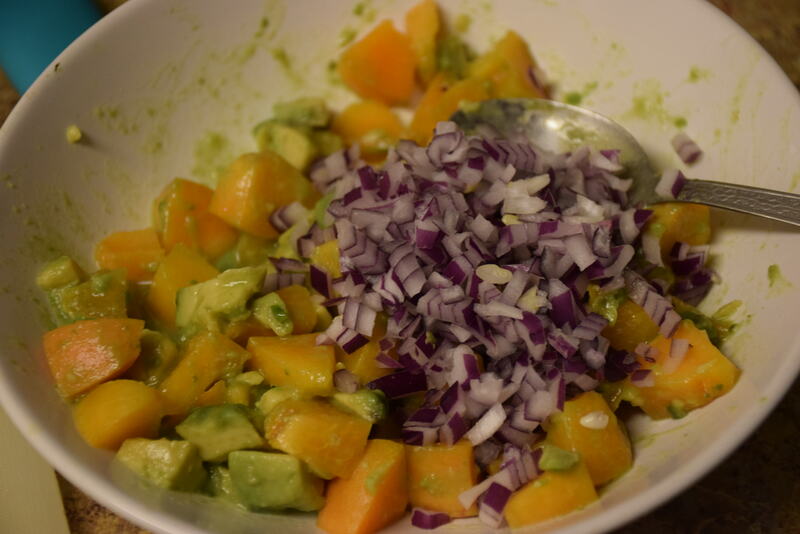 Again there are many variations to this salsa, you may use mango or kiwi or apple instead of peach in this recipe,with main ingredient as Avocado. 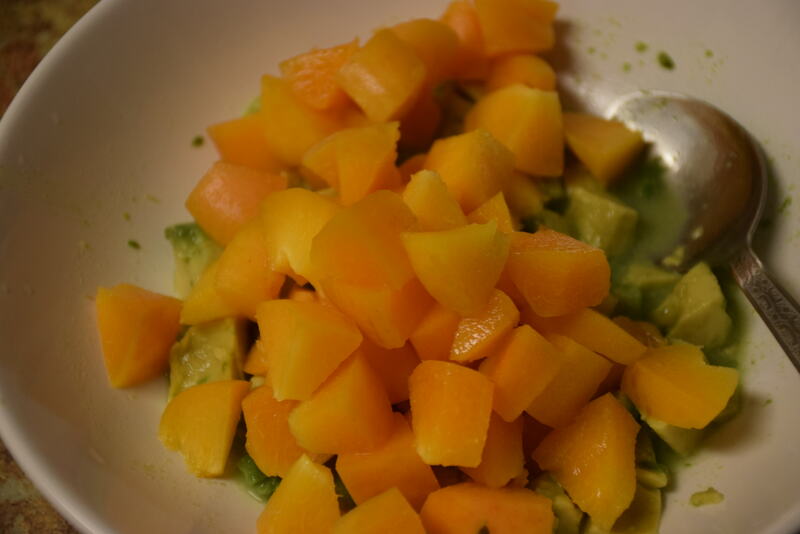 Avocado is a good source of nearly 20 vitamins, minerals and phytonutrients, including 4% of the recommended Daily Value (DV) for vitamin E, 4% vitamin C, 6% folate, 8% fiber, 2% iron, 4% potassium, with 81 micrograms of lutein and 19 micrograms of beta-carotene. 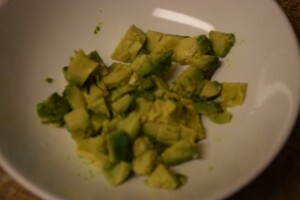 This quantity stays good for 2-3 days in refrigerator.For avoacado Guacamole please see: guacamole. 1. Take an avocado. Slice it in half. And then remove the seed from the center.Now place it on your hand and carefully make vertical cuts with knife and then horizontal cuts too with it. After making such cross-hatch patterns,gently scoop out the pieces with knife. Yes it is that tender ,if properly riped. 2. 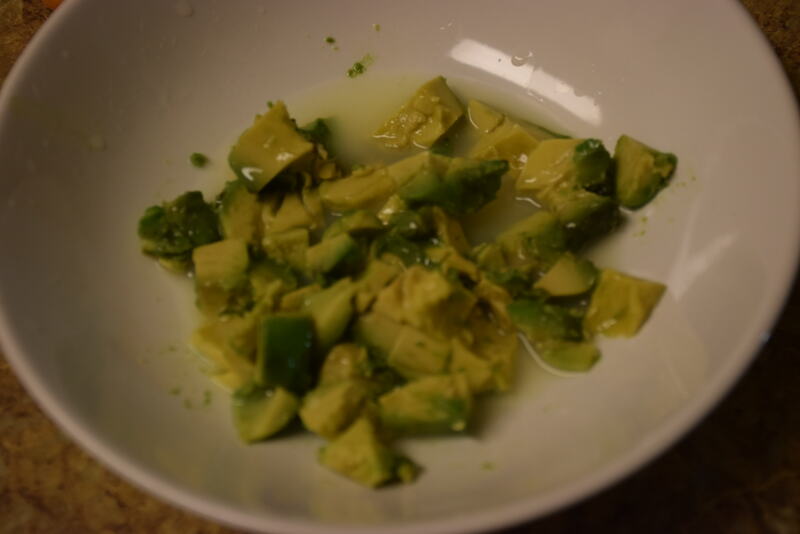 Next add these pieces of avocado in a bowl and add enough lemon juice so as to drench these in it.The avocados don’t brown because of this juice and it tastes good too. 3. Avocados have no taste of their own,this is their specialty. So now add peaches sliced,deseeded and cut into small pieces to it. Don’t peel them,else their juice will drain out. 4. 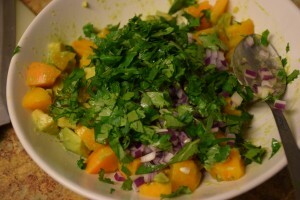 Now add the chopped onions, green chillies(if you wish) ,cilantro to it. Give it a nice stir. 5. Next add salt, chaat masala(your choice) and black pepper or red chilli powder to it according to your taste. Mix well and serve. Enjoy and share your experiences below! We highly value your suggestions! 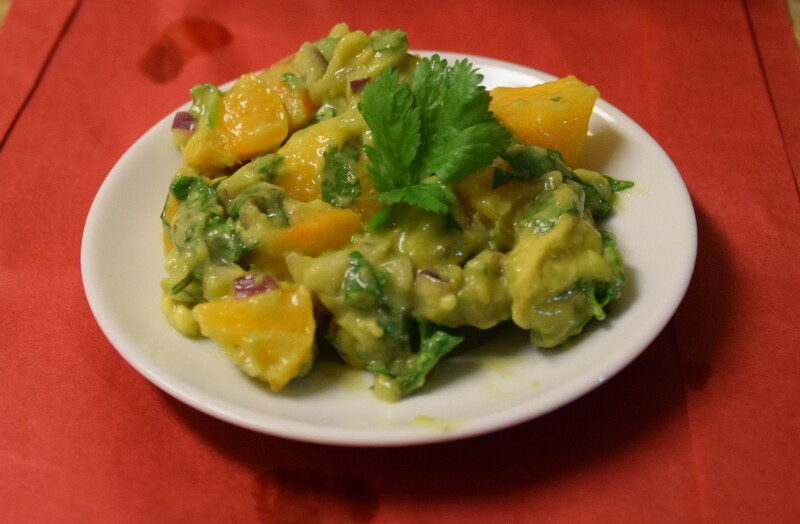 This entry was posted in Dips and pickles, Food, Recipes and tagged aadu, avocado, chutney, citric acid, dhania, hass, lemon, mexican, nimbu-phool, peach, Salsa, salt.